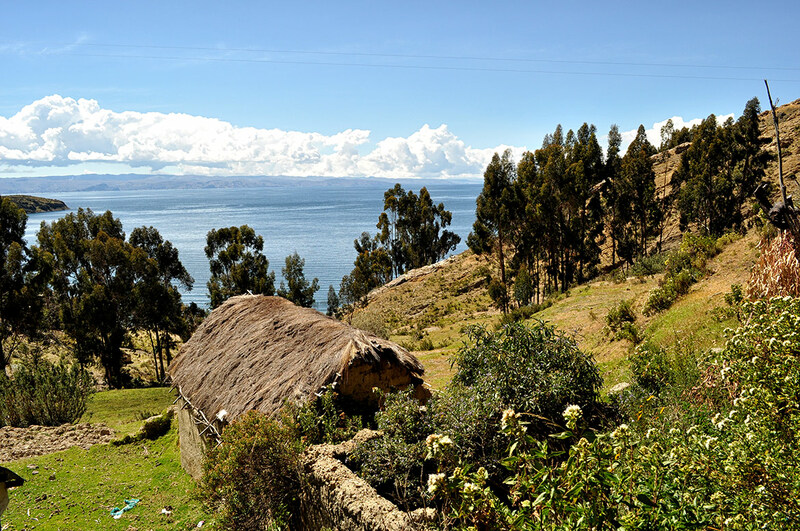 Lake Titicaca, located on the border between Peru and Bolivia, is one of the largest lakes in South America. 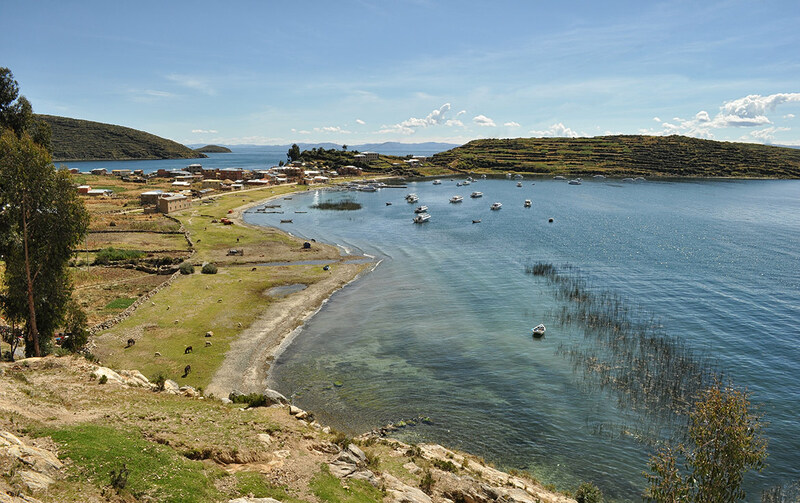 With charming villages, floating islands and beautiful walking trails, Lake Titicaca is a fascinating place to explore. We decided to visit Lake Titicaca from both sides. 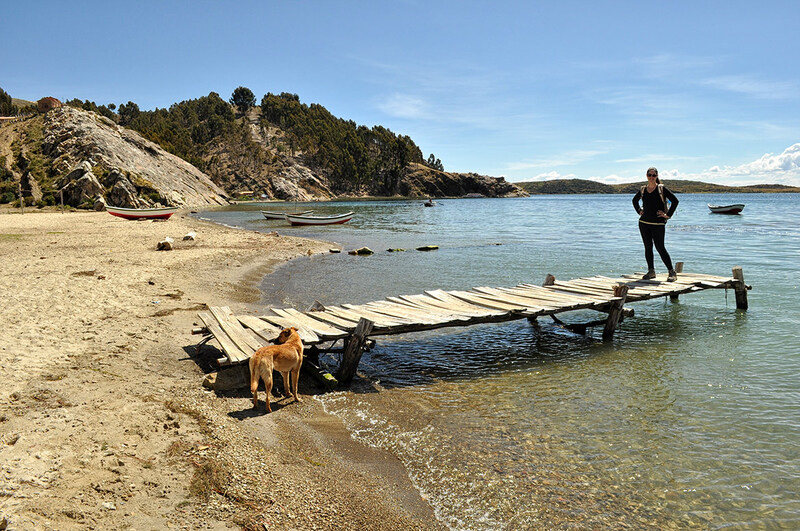 First stop: Copacabana, a small town on the Bolivian shore of Lake Titicaca. We stayed in Hotel La Cupula in Copacabana. We had a great clean room with a comfortable bed and an amazing view of the surrounding mountains and the beautiful lake for a budget-friendly price. We also really enjoyed the food in their restaurant. Our rating for Hotel La Cupula is 9 out of 10. Copacabana is a relaxing town and it was fun to walk around there. 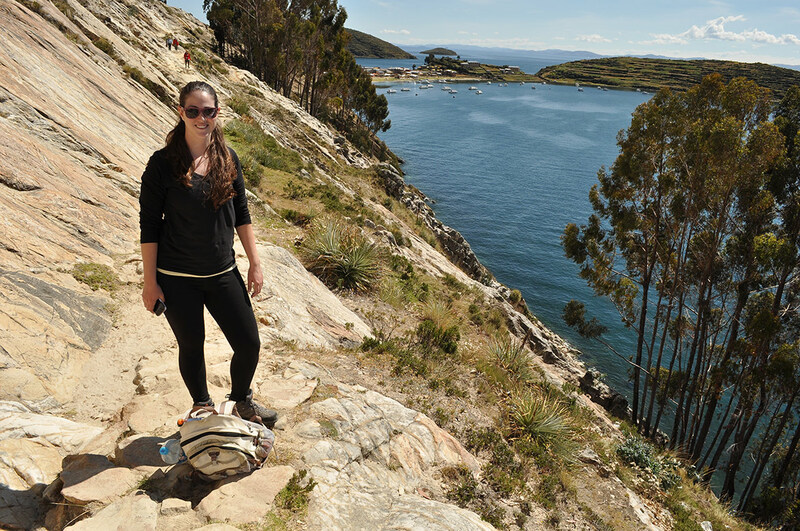 We were really excited towards hiking along Isla del Sol (Island of the Sun). We Went on a full daytrip from Copacabana to the beautiful island. We took a boat to get there and then we crossed the island from north to south along one of the beautiful walking trails. 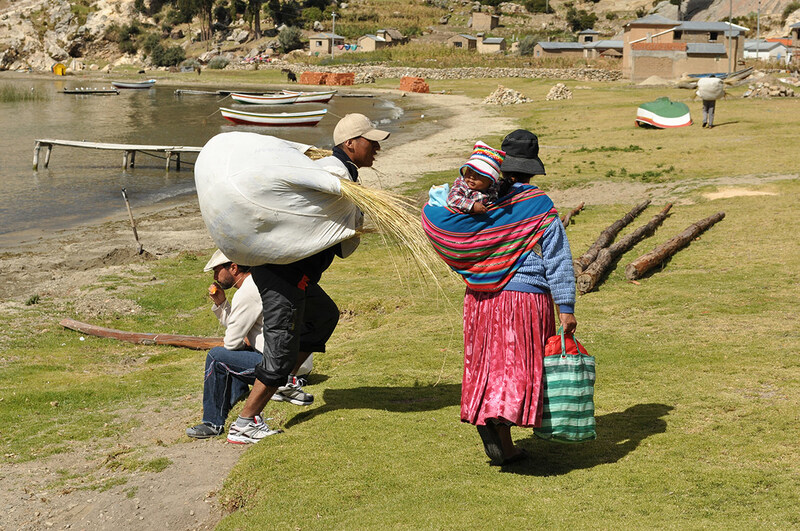 In Isla del Sol you’ll find some traditional communities, amazing views of the lake and beautiful landscape. 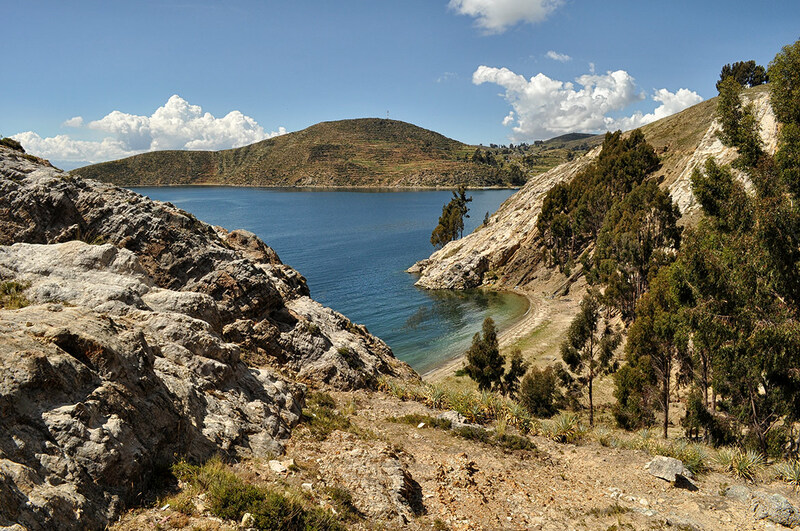 The trails around Isla del Sol are quite easy, we walked around 3 hours and enjoyed every moment on this charming island. Make sure to stop a lot to admire the view and catch your breath while hiking at the altitude of about 4000m. The next morning we took the bus from Copacabana to Puno. We were excited to cross the border and enjoy the lake from the Peruvian side as well. We stayed 2 nights at Marlon’s House Hostel. The hostel was ok, convenient location and nice rooms. 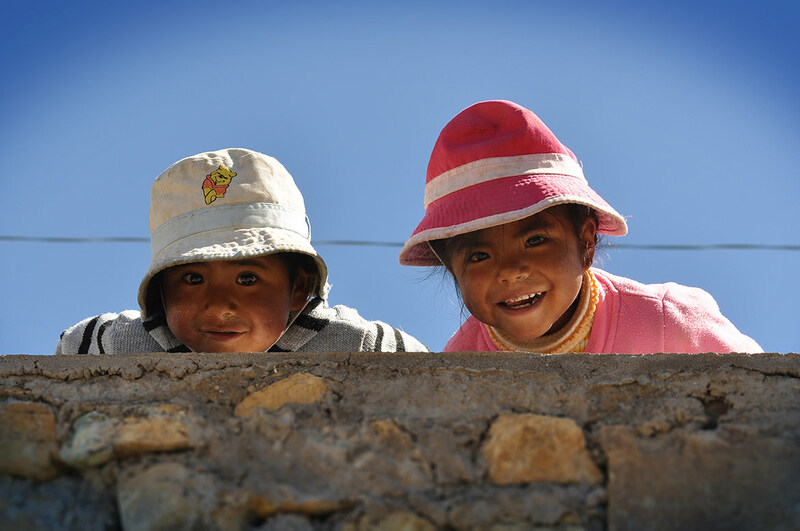 They offer bus tickets for destinations around Peru and daytrips in Lake Titicaca. Our rating for Marlon’s House Hostel is 7 out of 10. 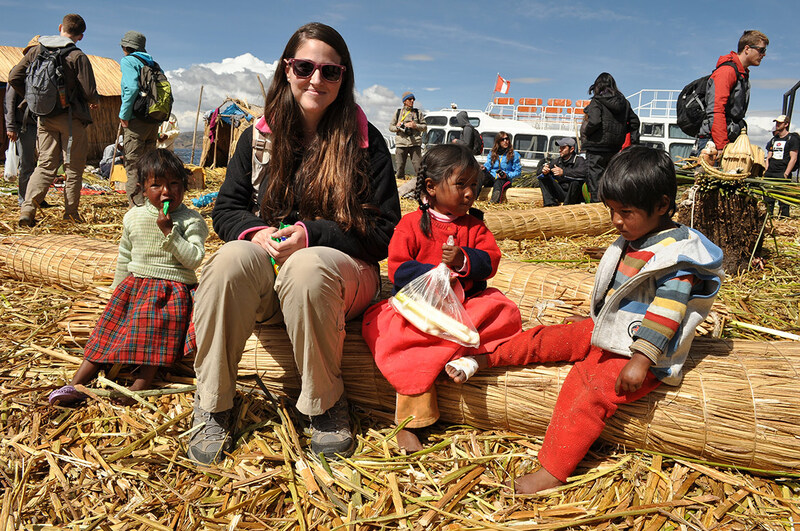 We went on a daytrip to visit one of the floating islands of the Uros and Isla Taquile. 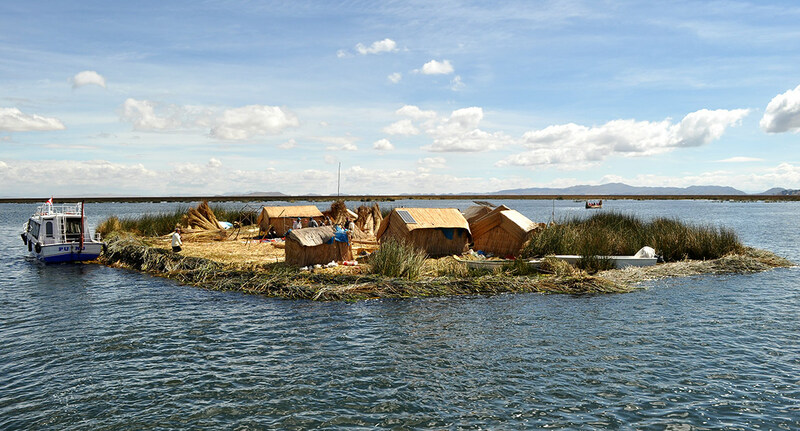 The floating islands of the Uros are man-made totora reed islands. 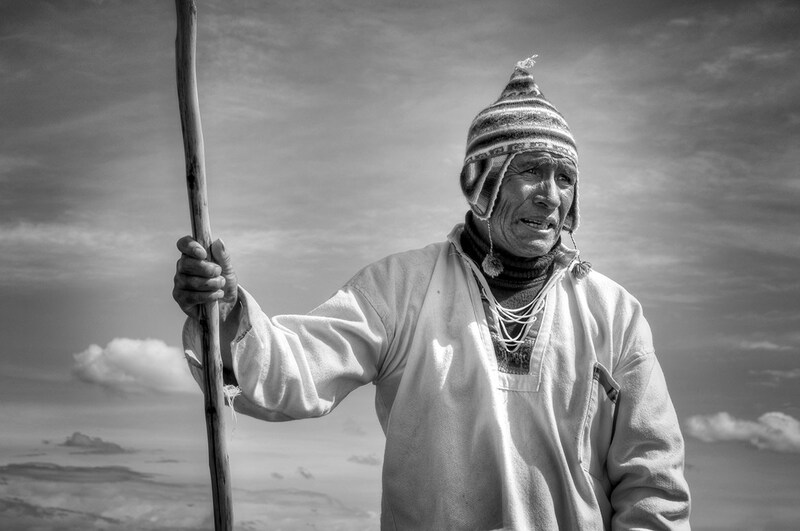 Walking around the floating island was a really unique experience, we were impressed to learn about the Uros and enjoyed playing with the kids of the families who live there. The visit was very short and we felt that it would have been a better experience if we stayed over for the night, and have more time to get to know the families and learn about their special way of life on a floating island. Next we visited Isla Taquile. The landscape was beautiful, we had a great walk and then a lovely lunch on the island, but we kept thinking that our hike in Isla del Sol was more scenic and the Bolivian island was much less crowded. 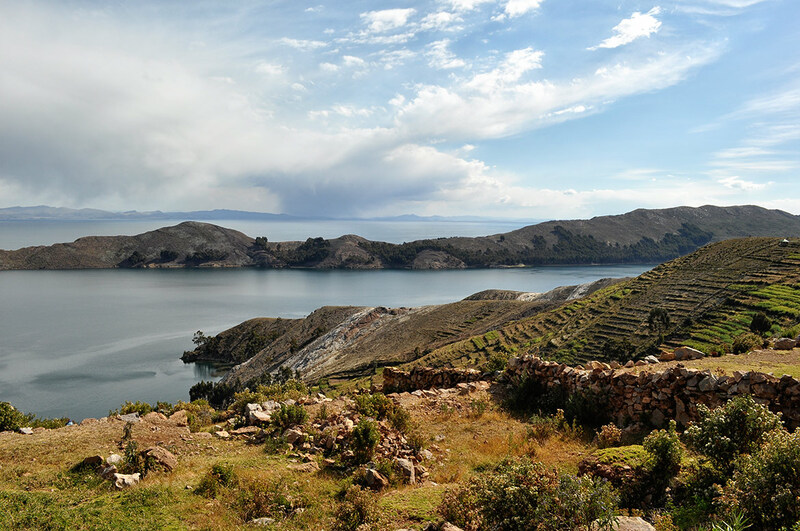 Lake Titicaca is really a great destination: you’ll find good restaurants, memorable sunsets, interesting traditional communities and beautiful hiking trails. Although our visit in the Peruvian side felt more touristy and crowded, we still recommend to visit both sides and enjoy a relaxing time in Lake Titicaca.